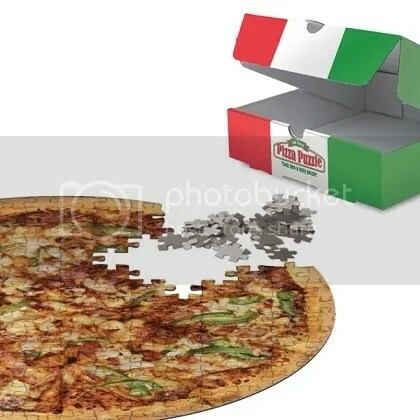 I ordered pizza the other night, and being a puzzly guy, I couldn’t help but find a puzzle hiding beneath the lid of that pizza box. The pizza was cut into eight slices, as you’d expect, all of roughly equal size. 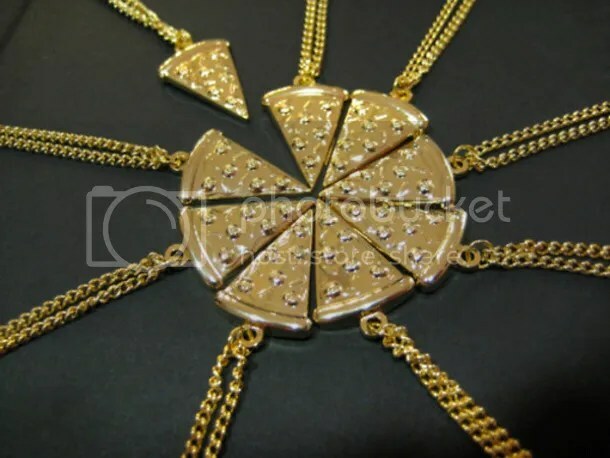 And I started to wonder: what if you had more than eight people sharing one pizza? The simple solution would be to cut those pieces down the middle into long, thin pieces. But were there other solutions out there, other shapes that would allow more people equal access to a shared pizza? Anyway, mathematicians had apparently tackled the pizza problem before, and they believe the solution rests with tessellation, the use of the same shape or symmetrical shapes repeated over and over to fill a given space. When you think about symmetry and tessellation, you tend to think of straight lines. But the amazing thing about these solutions to the pizza problem? They all abandon straight lines. As you can see, there are numerous variations that work from this shield patterning. Since the shields are the same, dividing the shields up into equal parts in different forms yields other solutions. And that use of arcs (curved lines) instead of straight lines makes patterns that would normally only work in squares, pentagons, and other shapes work for circles, like your friendly neighborhood pizza. Granted, the average pizza slicer isn’t going to be dicing up a pie into 28 or 36 pieces… but it’s nice to know there are options out there, in case a few dozen friends stop by unexpectedly on pizza night.